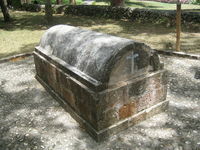 In this guide, we will be exploring a real haunted house in Montego Bay, Jamaica called Rose Hall. Locals to the area refer to this structure as the “Great House”. Sitting among 6,000 acres of land, the Rose Hall Plantation has a long history of legends and tales, mystery and intrigue, and, of course, spirits. The history of the structure is what makes it so popular today. In addition to this, many legends that surround the structure has attracted stories to be told regarding the plantation. Several books that have been written in a gothic tone have listed this building as a subject of interest. There is one book that mentions the plantation as the subject matter that has received profound success. This book was called “White Witch of Rose Hall”. 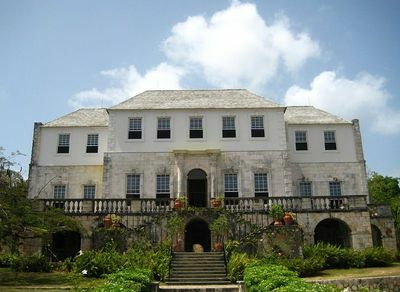 This real haunted house in Montego Bay was completed in the year of 1780. In the earliest days of the history of the home, the owners had approximately two thousand slaves working in and around the immense building and vast acres of the property. John Palmer was the individual that completed the mansion. Eventually, his grandnephew by the name of John Rose Palmer took over the establishment with his wife, Annie Palmer. Annie Palmer was said to be completely insane, and a murderer. Once her husband passed away, it is said that she inherited the structure. She remarried several times in her lifetime. However, legend states that she has murdered all of her husbands in the plantation. Despite her obvious distorted and inappropriate mental state, her memory lingers on in several ways. In one area of this real haunted house, you will find a bar named “Annie’s Pub” that specializes in selling “Witches Brew” in her memory. Annie was referred to as the “White Witch of Rose Hall”. When she arrived at the home, she was a stunning 18 year old woman. From the age of ten, Annie was raised by a nanny of Haitian descent that wanted to serve as her guardian once her parents passed away from Typhoid Fever. Annie was very close to her nanny, and adored everything about her. Rumors emerged that this woman practiced in the occult. She was said to have been a voodoo priestess. It is believed that the nanny took a lot of time in educating Annie in the ways of the voodoo world. By the time Annie became an adult, she was well versed in the ways of the occult and practiced regularly. John Rose Palmer, Annie’s husband, loved her very much. However, he stumbled upon the fact that his wife was having an affair with one of the black slaves that worked for Rose Hall. Once this occurred, he was extremely hurt and severely angry. It is said that he found a whip that was often used in riding in those days and beat her with all of his might with it. The beating was quickly announced among others that lived and worked for the plantation. That evening, a tragedy occurred that is said to have been a result of Annie. John Rose Palmer passed away. Several people believed that she may have poisoned his food or his drink. Then, there are some that believe he died as a result of her voodoo spells, or her circle of voodoo protection. Immediately after the death of her husband, Annie went after the slave that she was having an affair with. She had the man gagged and beat until he died. Not too long afterwards, she began having other affairs with several other slaves that served post on the plantation. It was noted that she often had the slaves killed that she had intimate relations with. When the people who worked for Annie discussed her that referred to her as “Voodoo Woman”. In the year of 1831, Annie was discovered dead. It was determined that she had been strangled. While the servants worked to destroy all of her belongings, it is believed that her spirit is actually embedded to the home. Several hauntings and various type of unexplained activity have occurred throughout history in this real haunted house. If you want to visit a real haunted house, you should consider visiting Rose Hall. You are sure to leave with some exciting adventures to speak of.